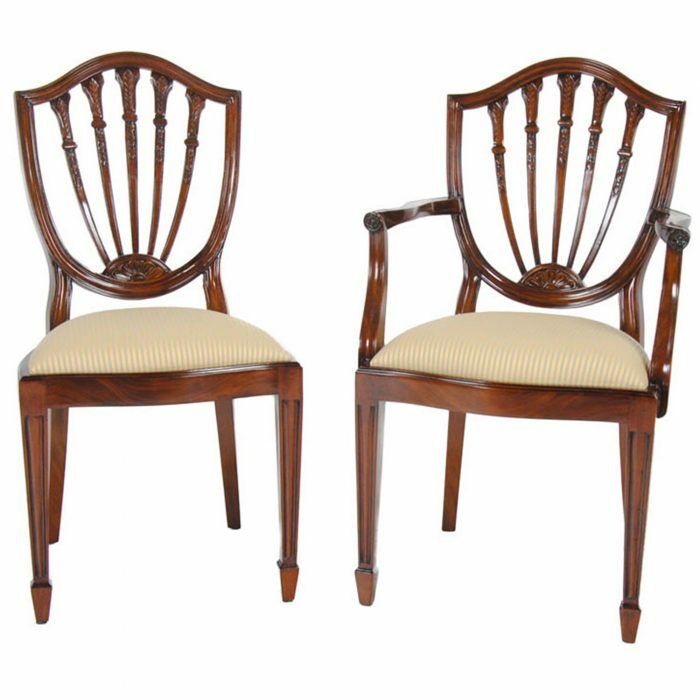 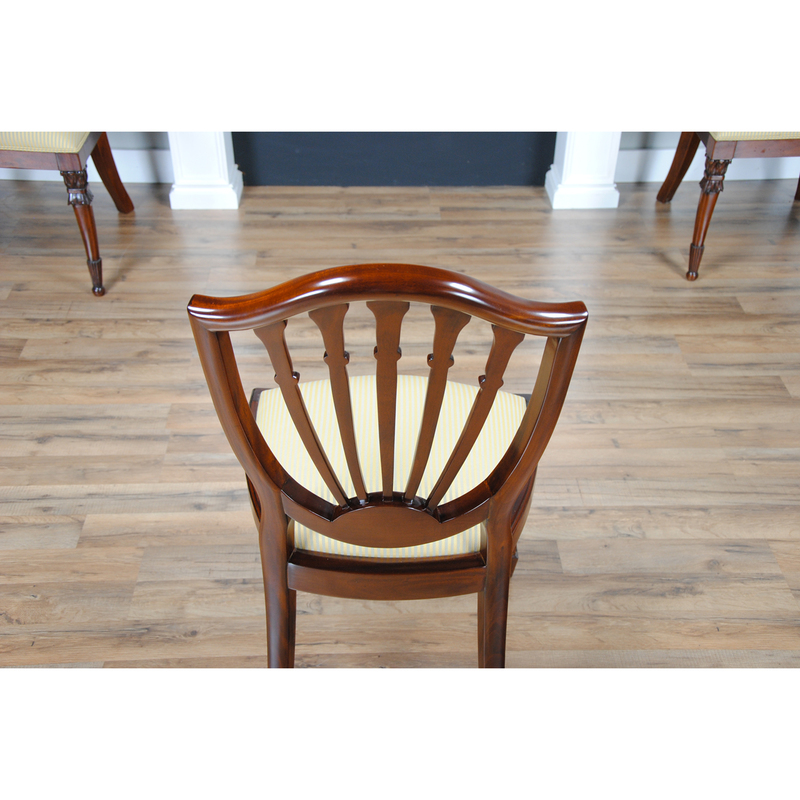 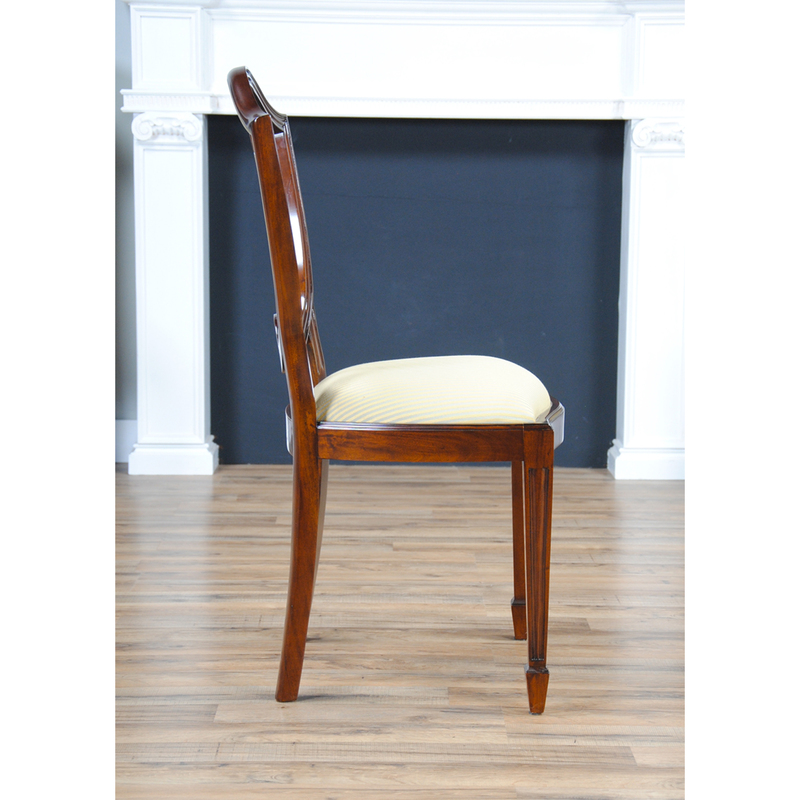 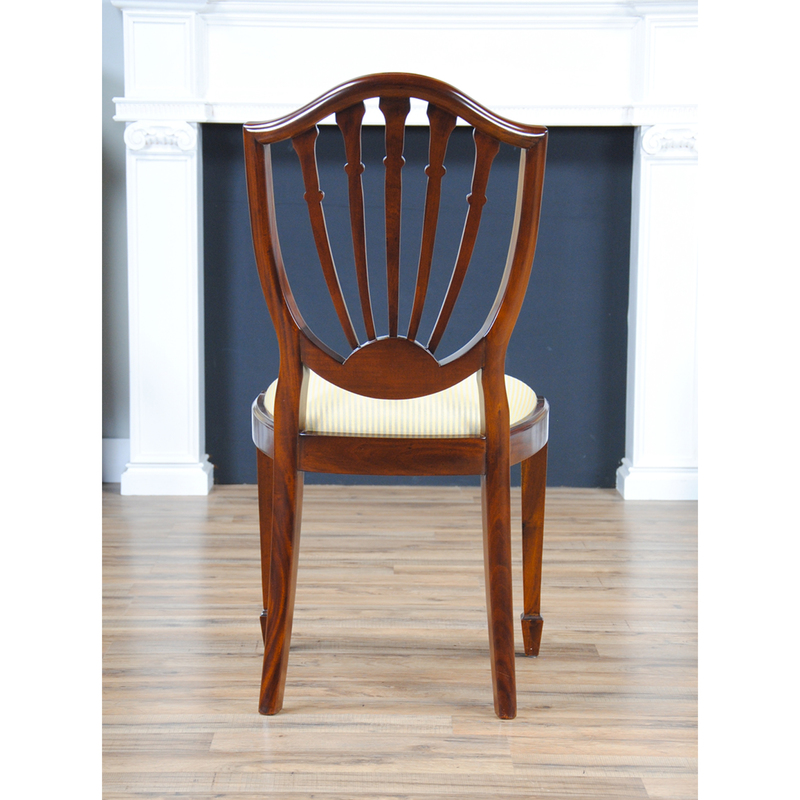 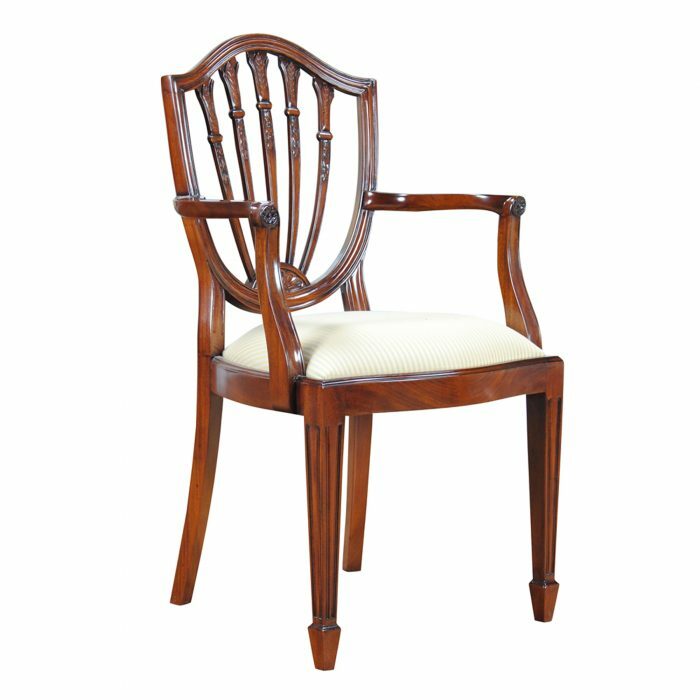 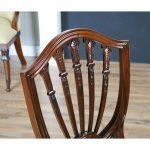 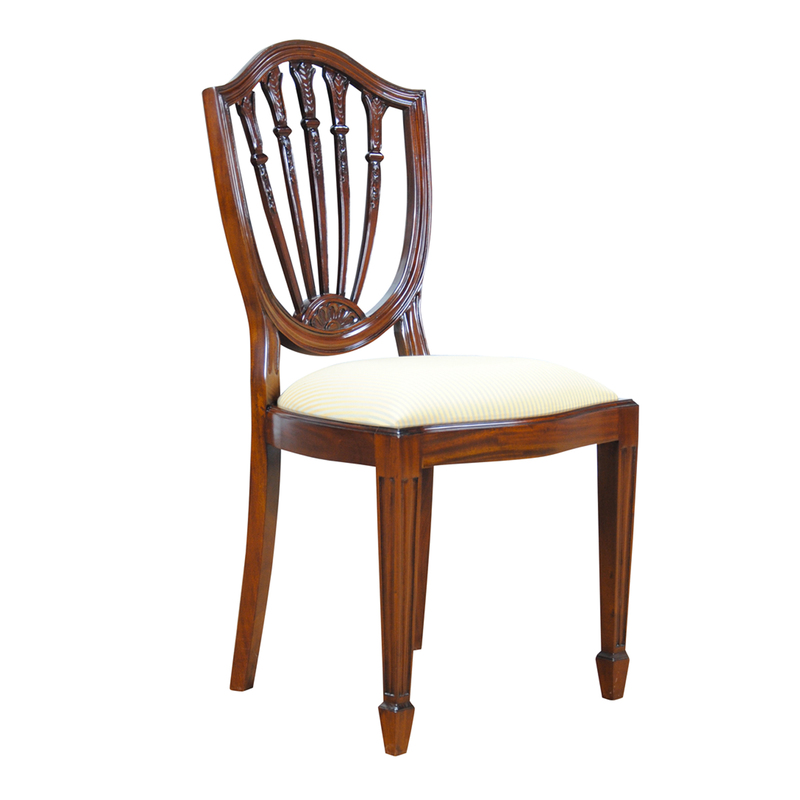 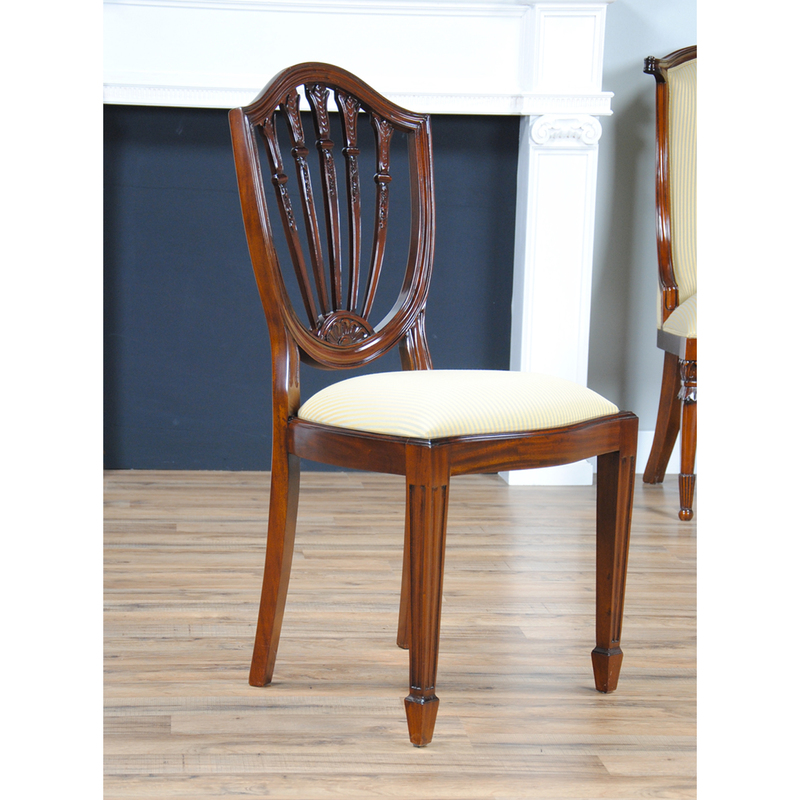 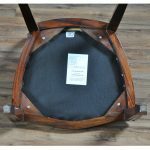 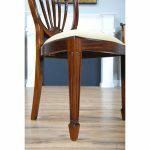 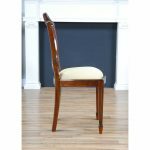 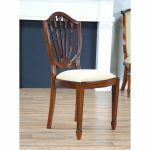 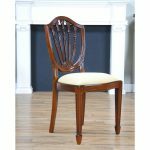 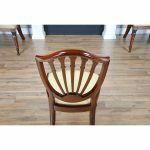 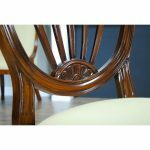 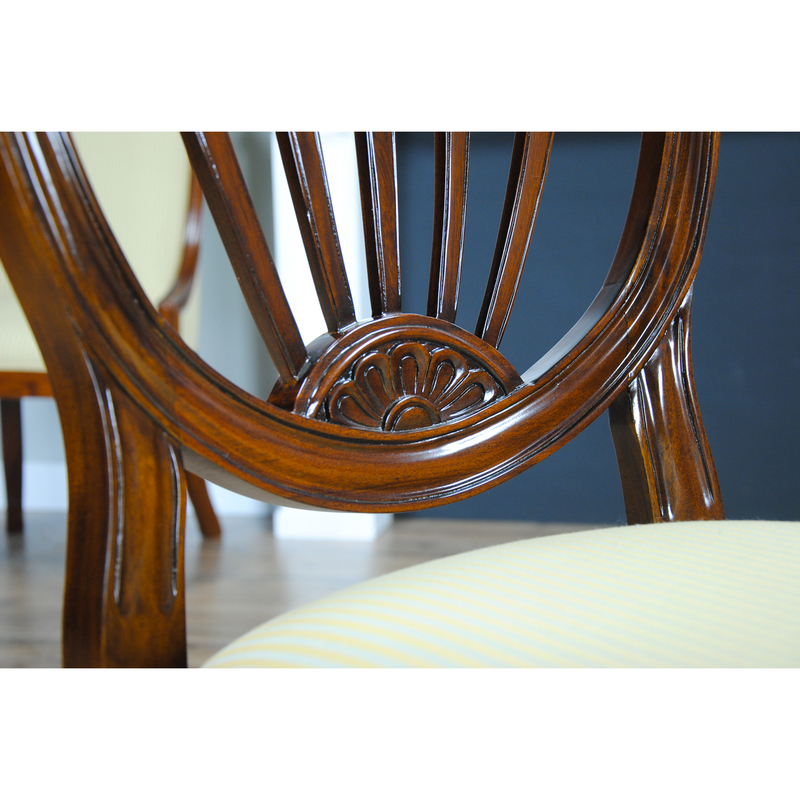 This shield back side chair from Niagara Furniture features solid mahogany frames, a serpentine crest rail which connects to the five section back splat and terminate in a petal carved lunette, all working tougher to provide for solid back support while seated. 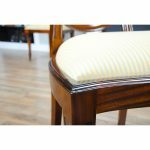 Hepplewhite style tapered and reeded front legs and shaped rear legs connect via bow shaped and serpentine shaped side rails while a drop in seat cushion, held in place with four screws, provides for easy fabric changes to suit your taste. Maximum seat height approximately 20.5 inches.